Johnstown & Hafod Railway Station. 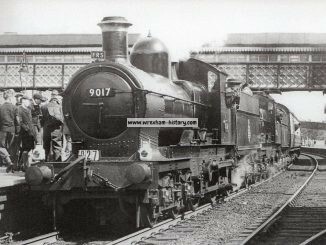 Johnstown & Hafod was a minor station on the Great Western Railway’s London to Birkenhead main line. 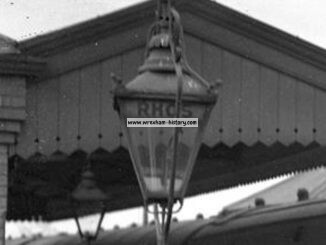 Although the station is gone the railway is still open today as part of the Shrewsbury to Chester Line. 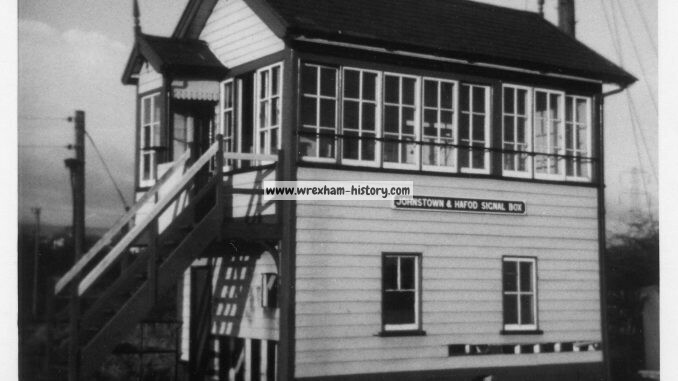 The station was situated on the extreme east side of Johnstown and served both there and the adjoining village of Rhosllannerchrugog. Express trains did not call at Johnstown & Hafod and the station would only have been served by West Midlands & Shrewsbury to Wrexham & Chester local trains. 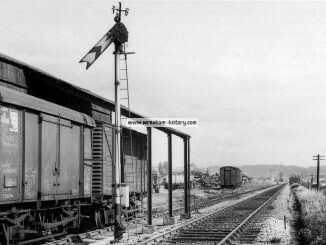 There were once sidings serving Hafod brickworks and Hafod colliery. 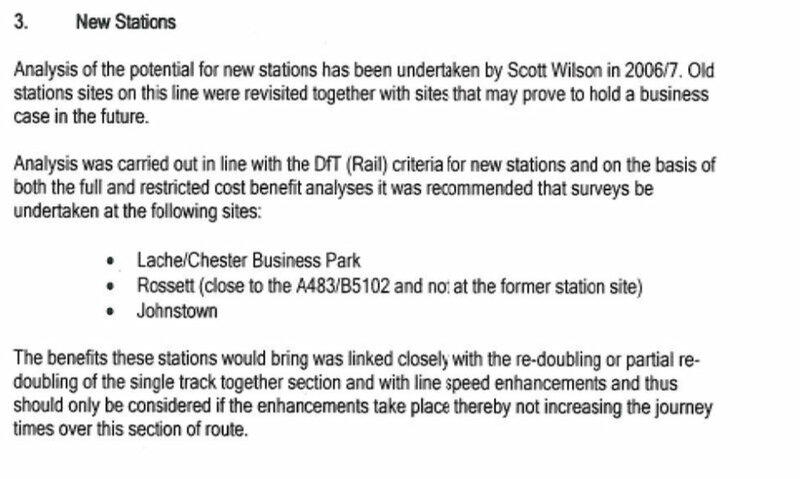 According to the Scott Wilson Report compiled for the Chester to Shrewsbury Rail Partnership, Johnstown is one of the most promising sites on the line for the re-opening of the station. Extract from 2006/7 consultation report released in 2008.